"American Pharoah is finally the one! American Pharoah has won The Triple Crown!!" Larry Colmus’ call of the Belmont Stakes (gr. I) (VIDEO) is still resonating in my head, and will not be forgotten for as long as I live. When American Pharoah put away Frosted at the top of the stretch and the outcome was no longer in doubt, I could barely contain my excitement. Actually, I couldn’t contain it—as someone who watches 99% of races without ever uttering a sound, I could hardly believe it when I shouted "He’s got it!!" at the sixteenth pole, just as I could hardly believe that after thirty-seven years, the Triple Crown drought was finally coming to an end. If American Pharoah were to retire without ever running again, I would be perfectly fine with that decision. After all, the colt has already secured his legacy by winning the Triple Crown, and in doing so, he has given us a hoard of memories we will cherish forever. But according to American Pharoah’s connections, the newly-crowned Triple Crown winner will continue racing through the end of the season, which gives us an exciting question to ponder—where will American Pharoah run next? Obviously, the end-goal of the season is the Breeders’ Cup Classic (gr. I), a race that didn’t even exist when the other eleven Triple Crown winners were racing. Thus, American Pharoah is in the position to accomplish a feat that has never been achieved before—to win both the Triple Crown and the Breeders’ Cup Classic. Given that American Pharoah seems to have come out of the Belmont Stakes in fine form, it’s likely that he will be back to the races much sooner than other recent horses that ran in all three legs of the Triple Crown. With that in mind, it’s possible that Amercian Pharoah could have time to run in two or three other races prior to the Breeders’ Cup. But which races will those be? Assuming his connections would like to try and give him a fairly easy race in his first start after the Belmont, it’s likely that his next race will come against fellow three-year-olds rather than older horses. The most logical options on the calendar are the August 1st Jim Dandy Stakes (gr. II) at Saratoga and the August 2nd Haskell Invitational (gr. I) at Monmouth Park. For several reason, the Haskell seems like the more likely target—it’s a grade I race rather than a grade II, it carries a purse of $1 million instead of $600,000, and the typically speed-favoring nature of Monmouth would play into American Pharoah’s strengths, whereas the slower, more tiring track at Saratoga could be less suitable for his first start off a layoff. But after the Haskell or Jim Dandy, the colt’s schedule could get very interesting. Traditionally, the next target would be the $1,250,000 Travers Stakes (gr. I) at Saratoga on August 29th, but a bolder goal would be the $1,000,000 Pacific Classic (gr. I) at Del Mar on August 22nd. The Pacific Classic would mark American Pharoah’s first start against older horses, and a victory in that race would arguably build his legacy more than a victory against his own age group in the Travers. Additionally, running in the Pacific Classic would not require American Pharoah to ship across the country—he is expected to be based at Del Mar this summer—and the older horse division in California is not as strong right now as it has been in recent years, when Game On Dude, Acclamation, and Twirling Candy were among the very talented horses campaigning on the West Coast. After that, American Pharoah could use several different races as his final prep for the Breeders’ Cup, including the September 19th Pennsylvania Derby (gr. II) at Parx Racing, the September 26th Awesome Again Stakes (gr. I) at Santa Anita, or the September 26th Jockey Club Gold Cup (gr. I) at Belmont Park. All three races offer advantages and disadvantages—the first race is against three-year-olds, the latter two against older horses; the Awesome Again is in California, the other two on the East Coast; the Awesome Again is expected to carry a purse of just $300,000, while the other two will offer $1,000,000. My guess is that the Jockey Club Gold Cup—offering a rich purse and historical prestige—will be the target for American Pharoah, but the Awesome Again could also be a logical option if his connections would like to keep him from shipping across the country too often in advance of the Breeders’ Cup. Now it’s your turn! 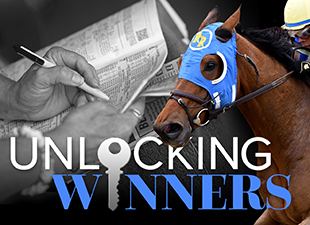 Which races do you think American Pharoah will run in during the remainder of the season?